The scripted cleanup dealt with only the latest of Trump’s problematic statements during his week-long trip. His remarks were a stark illustration of Trump’s willingness to upend decades of U.S. foreign policy and rattle Western allies. Blistered by bipartisan condemnation of his embrace of a longtime U.S. enemy, President Donald Trump sought Tuesday to “clarify” his public undermining of American intelligence agencies, saying he had misspoken when he said he saw no reason to believe Russia had interfered in the 2016 U.S. election. “The sentence should have been, ’I don’t see any reason why I wouldn’t, or why it wouldn’t be Russia” instead of “why it would,” Trump said, in a rare admission of error by the bombastic U.S. leader. 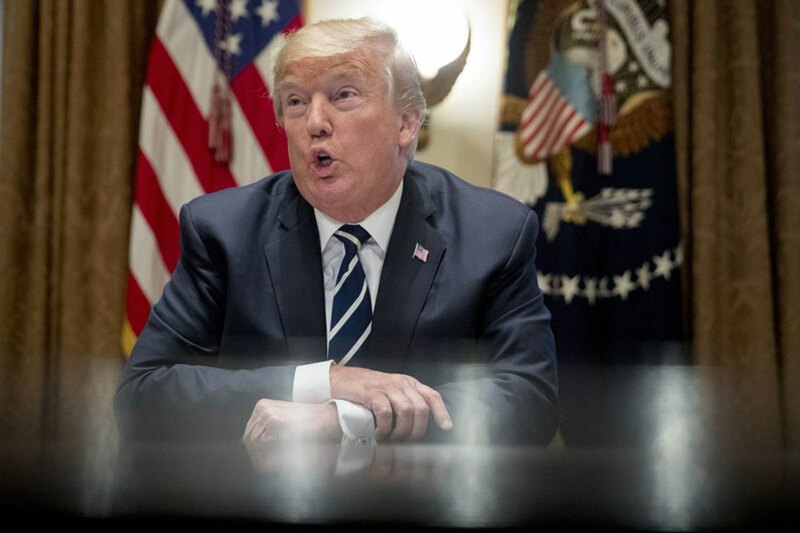 His comment came — amid rising rebuke by his own party — about 27 hours after his original, widely reported statement, which he made at a Monday summit in Helsinki standing alongside Russian President Vladimir Putin. And the reaction back home has been immediate and visceral, among fellow Republicans as well as usual Trump critics. “Shameful,” ″disgraceful,” ″weak,” were a few of the comments. Makes the U.S. “look like a pushover,” said GOP Sen. Bob Corker of Tennessee. In Helsinki, Putin said he had indeed wanted Trump to win the election — a revelation that might have made more headlines if not for Trump’s performance — but had taken no action to make it happen.